The HIV and AIDS epidemic was at its worst in the ‘80s and ‘90s. However, it’s important to remember that the effects of AIDS are not a thing of the past. The disease continues to affect certain groups disproportionately – such as the gay community – just as it did when the AIDS movement first gained national headway. Despite the monumental scientific developments in AIDS treatment, we believe it is crucial that the disease remains something of which we are cognizant, as the crisis has not stayed behind in the twentieth century. Though it remains incurable, AIDS can be treated — the first treatment was approved by the Food and Drug Administration in 1987. Infection rates of HIV have fallen in the general population since the epidemic peaked in the U.S. in 1995. This is partially due to education and treatment surrounding the disease, making it far easier to avoid. In developing countries, however, progress remains slow. Southern and eastern regions of Africa are still significantly affected by this disease. According to Avert, these regions collectively hold 6.2 percent of the global population, but account for over 50 percent of the total HIV positive population across the world. The governments of the developing countries are facing many of the same issues that the U.S. faced three decades ago, including an underfunding of medication development. This has led to a crisis in which most people cannot afford to pay for treatment. Furthermore, lack of education contributes to higher infection rates — without proper access to education, the general population is unable to make informed decisions on how to best avoid the disease. The LGBTQ+ community has had historically higher rates of AIDS — though gay and bisexual men account for 2 percent of the population, they comprise 55 percent of people with HIV,according to the Center for Disease Control. In the ‘80s, when the AIDS epidemic first began in the U.S., the government failed to fund important research that could have increased treatment and even identified a possible cure for AIDS. Many believe this failure was motivated by discrimination against the gay community. This led to mass outrage and protests among the LGBTQ+ population. This lack of recognition on the part of the government is paralleled by the Trump administration’s apathy for the LGBTQ+ community. Additionally, in a 2006 speech vice-president Mike Pence argued that “societal collapse” would come from marriage equality. He has also shown support for reallocating HIV and AIDS funding toward “institutions which provide assistance to those seeking to change their sexual behavior,” as stated on his congressional campaign website from 2000. The Trump administration’s lack of support for HIV and AIDS research and victims is deeply concerning. Their views show that our government is not only continuing its history of mistreating those from the LGBTQ+ community, but also refusing to prioritize the treatment and research of AIDS. Further research needs to be funded in order for treatment to be affordable for everyone, and we as a society must continue to show support for the movement, similar to what sparked change during the crisis. Treatment costs are far more available and affordable than in previous years in the U.S., but those treatment options need further development. While private insurance and federal resources are available to ensure that no Americans have to pay for HIV and AIDS treatment out-of-pocket, the cumulative cost for a lifetime of treatment can total over $400,000 without a complete payment by financial support systems. Of the low-income people living with HIV and AIDS in the U.S, an estimated 50 percent of them do not receive the medications they require as a result of excessive cost. Though this is likely indicative of a broader issue in the American healthcare system, the lack of treatment options are particularly problematic given that the disease is associated with high fatality rates. 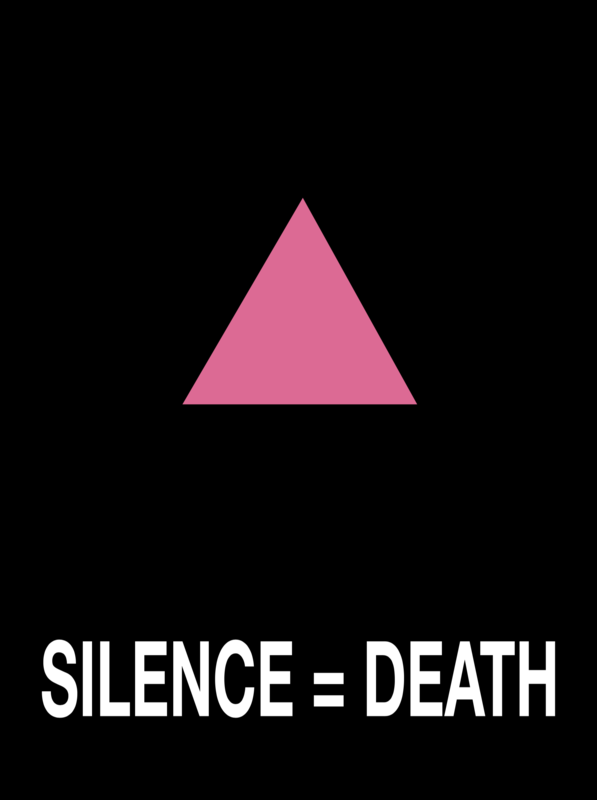 Furthermore, the disease’s increased occurrence in the gay community fuels stigma and prejudice, shown through the government’s lack of action surrounding the issue. Modern treatment and proper medication makes it possible for people living with HIV and AIDS to have average or near-average life expectancies. Without medicine, however, the future is much more uncertain for those who are HIV-positive. The estimated time an HIV-positive person can go without medication is five to 10 years, generously estimated. We as a society must not forget the suffering that occurred a mere 30 years ago, as well as the lives still affected by the disease. To honor the words conceived at the movement’s beginning, we must remember that silence is death. In other words, we must keep talking.